Unlike the larger and very decadent Southern Portugal capital of Lisbon, UNESCO-listed Porto is an edgier city with a very different pace and identity. Conde Nast Traveller describes it by highlighting the old-town neighbourhoods of Vitoria, Ribeira and Miragaia where “clog-makers jostle with tin-beaters, sewing-machine repairmen and other practitioners of long-forgotten trades.” The Guardian agrees that the “past defines much of Porto’s look, but her people have found a way to get on and look forward with hope and panache.” It’s the hope and panache that makes Porto so special. At times, you need to scratch a little under the surface – but it’s so rewarding when you do. When most people think of Porto they think of bridges. The River Douro is certainly the most dominant feature of the city and the whole North region, in fact. The Ribeira is one of the most popular and most photographed areas in the city along with the bridges – as you can see below. Keep an eye out for the old fashioned ‘rabelo’ boats traditionally used for the transportation of port. You can take a boat tour from the Ribeira to experience the bridges – there are six that cross over to Gaia – including the most famous double-decked Luiz I bridge from 1886. 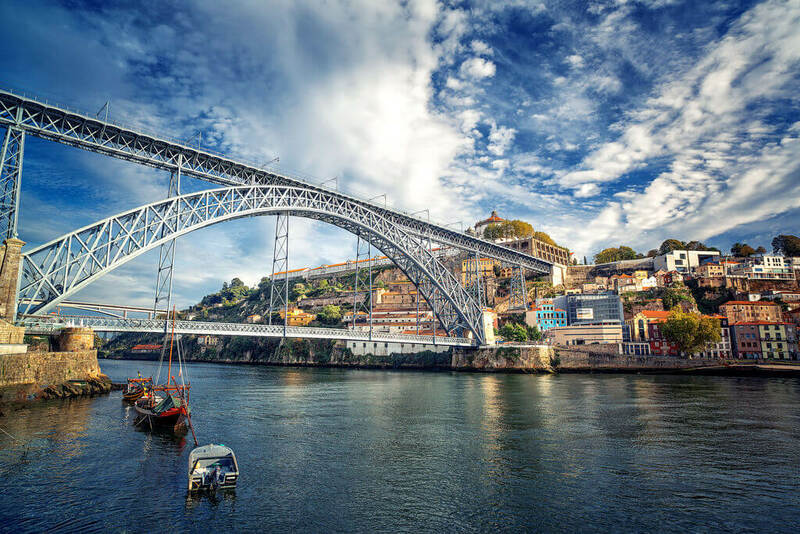 We also like the Maria Pia bridge from 1877 and civil-engineering enthusiasts will also want to check out the Infante D. Henrique Bridge from 2003. Inside Porto, you’ll find lots to explore including the Clerigos Tower (its 200-or-so steps up provide you with one of the best views of the entire city and the Douro). You should also visit the neo-classical Palacio da Bolsa (Stock Exchange), the San Francisco church best known for its gilded Rococo and the Manueline-style Church of Santa Clara. If you liked the view from Clerigos tower, why not compare what you see from the Miradouro da Vitoria – another great viewing point in the city. If you want to see another side of Porto’s history, arrange a visit to the synagogue Kadoorie – Mekor Haim which we have written about here. The museum tells the story of the local Jewish community and those who passed through the city. Wherever you are in Porto, you’ll find many references to navigators including Infante Dom Henrique de Avis or Henry the Navigator – who was the first of Portugal’s great explorers and was born in the city. 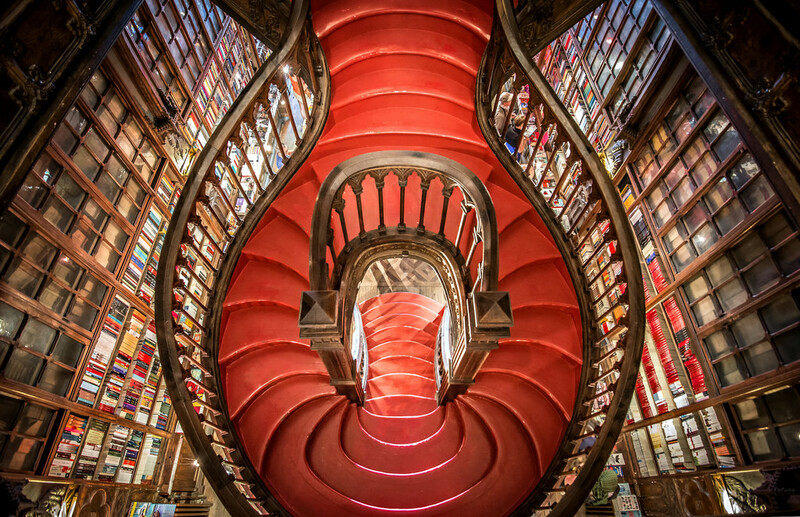 If you’d like to know more about him or any other aspect of Porto’s history, you must visit Portugal’s best known bookstore, Livraria Lello. It was a favourite spot of JK Rowling’s when she lived here and it’ll woo you too. Porto is home to some amazing gardens and parks and one of our favourites is the art-deco gem that is Serralves Museum of Modern Art (designed by Siza Vieira) where you can sip tea and enjoy the wonderful gardens and meadows. It’s just a short bus or taxi ride from the centre of Porto. If you are up for a tour of the outer ring of the city, why not start at the Casa da Musica by Dutch architect Koolhaas, move on to Serralves and finish up at Parque da Cidade which is the city’s biggest park and if local rhetoric is true, Europe’s only city park that meets the ocean front. 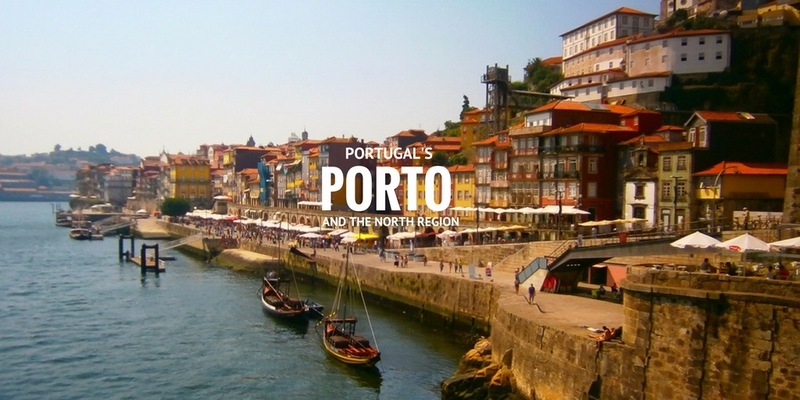 Wondering what to eat in Porto? 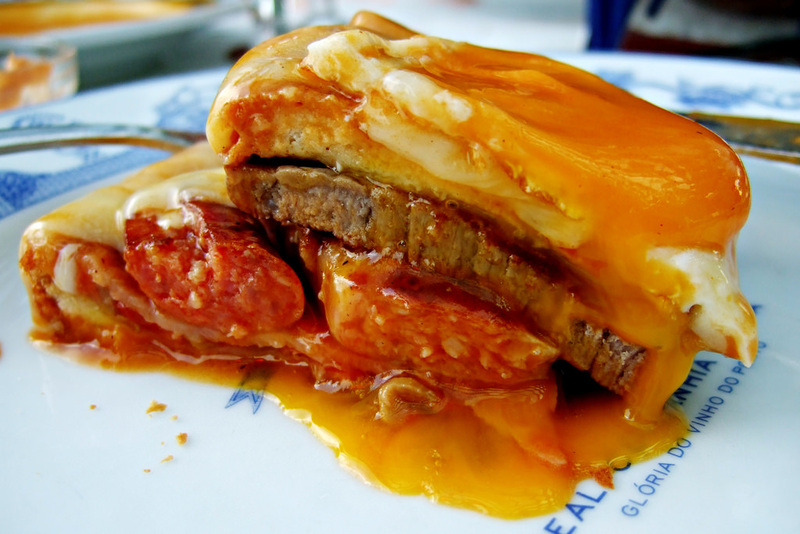 You’ll find all the usual Portuguese staples including delicious salt-cod, octopus and shellfish – but one dish that might catch you off guard is the local ‘Francesinha’ – a real doorstep of a sandwich which is a meat, sausage and cheese combo served with a spicy tomato sauce and the optional extra of fries and a fried egg! Perfect fuel if your body clock is out of sync and needs a hearty pick-me-up. What else do we suggest? Although it is very touristy, it’s hard not to enjoy the Majestic Café for its art-deco decor. It serves breakfasts, bistro-style lunches and dinners, plus afternoon teas and cocktails and has live music events and table service in its garden. If you’d like some fine-dining, you’ll want to try out the food prepared by the newly awarded Michelin-star Chef Vitor Matos at Antiquum in Porto. It’s a beautiful place and as you’d expect, the views of the city are great, and the prices are so reasonable! You’ll find everywhere in this North region offers outstanding value from money! If you are up for a trip outside the city, check out the dishes created by chef Rui Paula at Boa Nova in Matosinhos (18 mins drive NW of Porto) which is housed in a recently restored 1950s architectural structure designed by Alvaro Siza. (Check out the details for the Michelin stars at the Yeatman hotel across the river in Gaia also.) Even if you are on a budget, you can still enjoy the tasty treats at Mercado Bolhao and nearby delis and stores such as Perola do Bolhao – and of course the wineries in Gaia are a huge and very affordable attraction too! Look out for places serving ‘petiscos’ all over Porto – which are Portuguese tapas – a great way to try as many local flavours and sensations as possible. 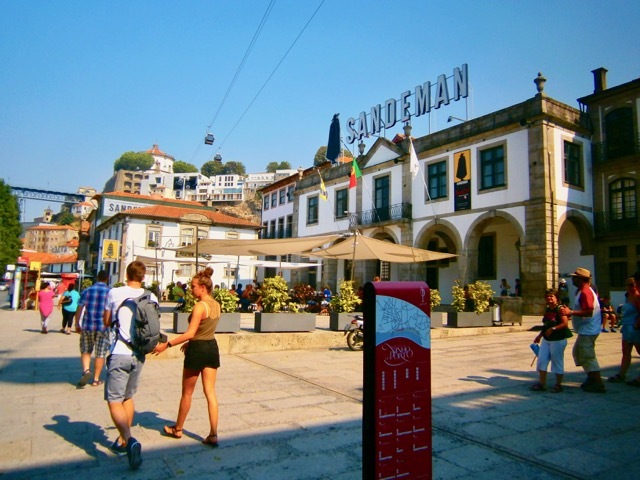 Wherever you go in Porto, you’ll find great transport connections! 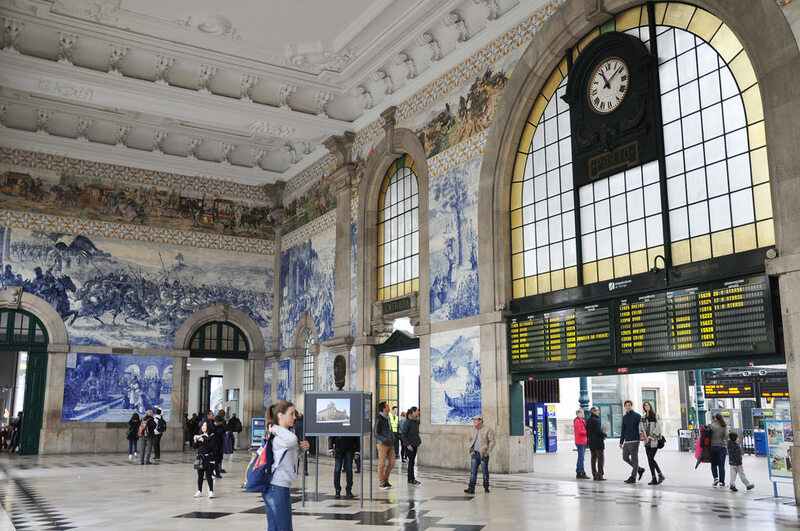 The train station of Sao Bento would put almost all stations in Europe to shame – it’s tiles are stunning. We also like to hop on the No.1 tram to Foz which is a great way to whisk through streets and neighbourhoods and get a sense of how the Porto residents live their lives. Enjoy a wander around the seafront at Foz and if you’re peckish, grab some food at the very popular Cafeina before heading back into the city. Those of you using the airport will be pleased to know it’s on one of the six modern metro lines. If you’re looking for ‘old school’ transport at its best, take the funicular from Batalha to Ribeira – great for its views of the top of the Luis I bridge! Unlike Buda and Pest that actually merged into one city, each side of the River Douro is still (remarkably) a different city. If you’ve never heard of Gaia, you might be wondering why you should go there? Well, we can give you a dozen or more reasons that are almost all alcohol related! This is where the original port exporters set up shop in the second half of the 17th century, in response to a trade dispute between England and France that preventing the English from importing French wine. Although the wine actually came from the Douro Valley, it was called port because that’s where it was shipped from. The first shipment of port was recorded in 1678 and within a century it became the first demarcated wine appellation in the world. You’ll learn lots about this tipple if you take a tour at one of the many wine caves or port lodges as they are called here. Names such as Taylor’s, Sandeman’s, Churchill’s, Croft and Cockburn are probably familiar to you but we highly recommend Calem winery right beside the Luiz I bridge where you can enjoy a tour of the facilities, a port tasting and a live ‘fado’ music session too. While you are on this side of the river, don’t miss The Yeatman Hotel for its amazing outdoor terrace with great views of Porto. We recommend an evening drink there – although you might want to go earlier if you fancy trying out their spa. You can also enjoy an amazing meal there – the restaurant was recently awarded its second Michelin star. If all of this sounds great, why not bit the bullet and stay overnight here? Wherever you are lodging, before or after your winery tours, do look up the Monastery of Serra do Pilar. And the cable-car in Gaia is a must too! 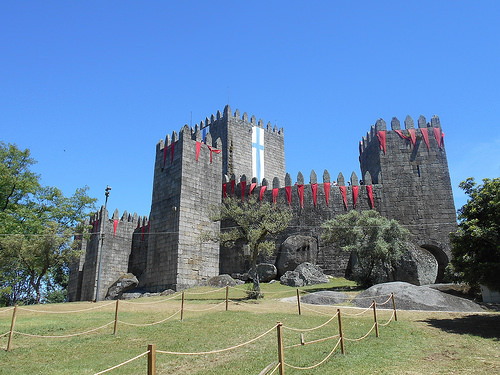 “If any city can be described as adorable, then it is Guimarães,” according to the Telegraph. The birthplace of Afonso Henriques, the first king of Portugal, in the year 1111, this UNESCO-listed town is affectionately known as the cradle of Portugal, where the Portuguese national identity and its language was born. It’s just a 50-min drive inland from Porto. Park up and enjoy the winding cobbled streets with more than its fair share of tiny bars and cute cafes. Any visit to the town must start at the 10th century castle where Afonso was born. The 13th century Gothic keep offers wonderful views of the town. The other monument not to be missed is the Dukes of Braganza Palace from the 15th century. Converted into a museum, the must-sees are the armoury, the large tapestries and the Romanesque chapel with beautiful stained glass. When you’ve explored the city inside the walls, slip out to the huge and very elegant Toural Square, that received a facelift for the European Capital of Culture in 2012. Don’t forget to sample the ‘toucinho do céu’ and ‘tortinhas’ pastries which were invented by the city’s nuns hundreds of years ago. Another 30 minutes NW and you arrive at Braga, a charming university city that was founded by the Romans. We love its cobbled (yes more cobbled!) streets and cheery squares that lend themselves to endless coffees and snacks as you wander from church to church and museum to museum. The Baroque Igreja da Misericordia is a gem and if you want something a bit different, we are very fond of the old elevator that is propelled by water by the Bom Jesus Sanctuary. All of Braga gets very busy during the Easter celebrations when Portugal’s oldest cathedral here takes centre stage and you’ll want to plan your trip carefully if you are travelling at this time. If you’d like to contrast the old with the new in Braga, check out the 2003 Municipal Fooball Stadium designed by Portugal’s second Pritzker prize winner Eduardo Souto de Moura. The Vinho Verde region is the largest wine region in Portugal and perhaps its best known as well. It begins North of Porto and expands up to the Spanish border. We recommend the area near Penafiel which is just 45 mins by car from Porto. One of our favourites wineries is the Quinta de Aveleda winery in Penafiel. Here you can tour the winery, the sumptuous grounds and take a wine tasting and if you have more time to spend, you can have lunch at the winery. If you have another day, we’d recommend going further north to Ponte de Lima in the heart of Minho. Here’s you’ll find some exceptional wine-themed accommodation and activities including Carmo’s boutique hotel and Quinta do Ameal’s organic vines and accommodation. The Douro wineries are a little easier to reach from Porto – you can just hop on a boat in Porto and cruise your way along the vineyards. You’ll be travelling along the same route the boats took from the vineyards to the port producers. We often book clients on a river cruise, and we sometimes arrange for a private guide and driver to meet them and show them around the best wineries. If there’s time for an overnight, we love booking them into somewhere with views of the amazingly terraced vineyards. If time is tight, it’s back to Porto but on the train. Although this is smaller than the Vinho Verde region, it’s still very expansive. 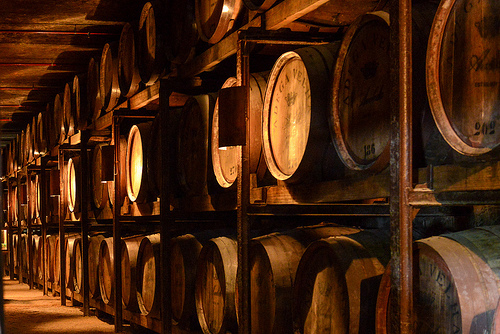 You really need to know where you are going and should pre-book tours and tastings to avoid disappointment. The last thing you want to do is drive down countless meandering country lanes to be met with a closed doorway. When you do get on a tour, you’ll find out that although the Douro has been producing grapes for centuries – it has only been marketing its wine since a law in 1986 enabled the wineries to sell direct rather than to the port lodges in Porto. 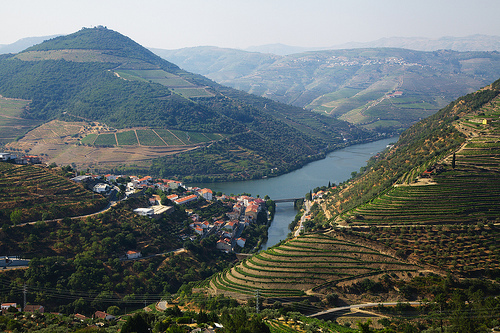 Despite starting out on the back foot, Douro wines are gaining ground quickly. Back in 2003, a group of five men who called themselves Douro Boys got behind the region and still work together today to make great wines and promote their wine region abroad. If they’re not coming to a wine fair near you, you can go along to the Feira do Douro held in June every year to get a sense of their buzz and enthusiasm. Visits to their wineries are strictly by appointment only. 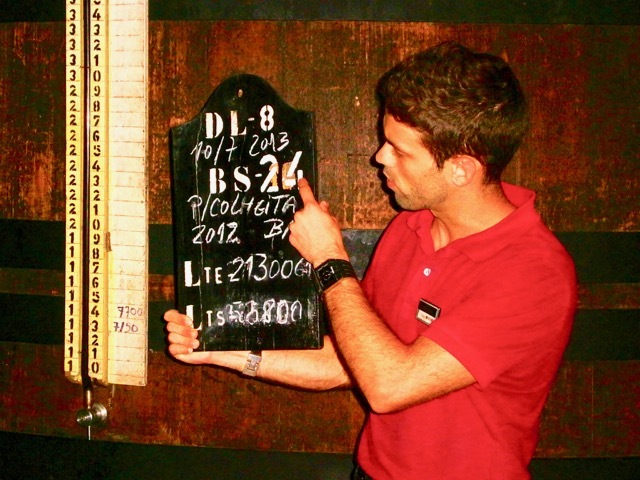 (In fact, you may find it easier to tour other wineries in the area and taste the Douro Boys wines in a wine-bar or restaurant. 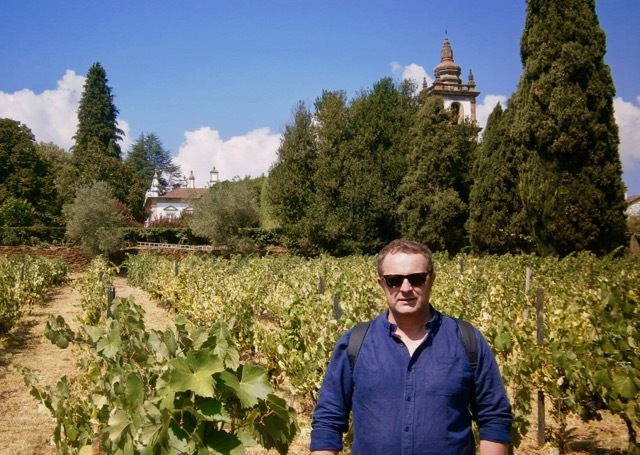 One of the ‘Boys’ does run two hotels – we like Quinta do Vallado property nestled in between the vines at Vila Nova de Foz Côa. This Coa Valley area is a UNESCO-listed Heritage Site and we can arrange winery visits around wineries in a 4-wheel drive – you’ll see why when you get there! After a winery tour, you can visit the rock carvings and if you overnight in the area – you might even be able to tour the location with a full moon – which adds a whole new dimension to the visit. If you are driving to the Douro wineries, do stop off in Casa da Mateus in Vila Real. Dating back to the 18th century, the palace and gardens are stunning and although not much emphasis is given to the wine-production, you can see the cellars and can purchase some wine. The emphasis here is on the work of the Foundation and on the gardens – which are spectacular. A trip to Portugal without a trip to the beach is a very poor holiday indeed. You can nip out to Foz just outside Porto or south of Gaia if you want a whistlestop beach experience but if you fancy some long strands perfect for a real Atlantean swim or even some surfing, the best beaches are probably in the Viana do Castelo area – an hour’s drive North of Porto. As you drive north along the coast up as far as the Spanish border, you’ll see lots of surfers especially on the beaches of Afife, Moledo and Vila Praiade Ancora which are known for their consistently accessible waves. The surf industry here is being heavily promoted and the region even has a ‘Centre for Excellent in Surfing’. If that sounds too strenuous, you’ll find lots to visit and do in the city of Viana – including a Folklore Clothing Museum and the longest funicular in Portugal which fetches up at Santa Luzia basilica where you’ll enjoy amazing views – especially if you climb the steps there too! To replace any lost calories when you get back to the city centre, you should visit the Chocolate Museum located in a former chocolate factory. If you’re in Viana in June – you’ll see the medieval festival and find the city in its all its finery – but this cobblestoned city centre is charming any time of the year. Portugal has traditionally been one of the textile power houses of Europe and keen shoppers still drive to the villages on the border with Spain to purchase towels, bedding and other items. If you drive North from Viana do Castelo going towards the border with Spain, you’ll find the charming villages of Caminha and Valenca. Both have lots of the typical shops aimed at Spanish tourists, but Valenca for example is a really well preserved walled town. Visit the fortress, the old international bridge, the city walls and the Roman milestone. 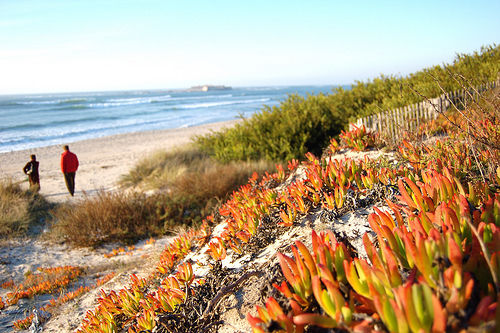 Caminha is on the estuary that separates Spain & Portugal and is a popular resort. Visit the main square, the two churches and the old castle keep which is now a clock tower. You can also walk the walls by the parish church to see the views of River Miño and the Monte Santa Tecla in Galicia. 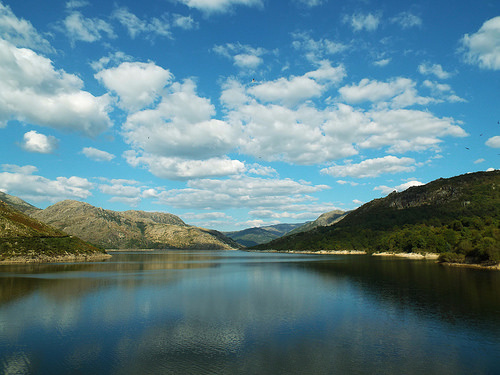 If you prefer hills and dales rather than fixed pilgrim trails – you have two stunning parks in this North region. The Peneda-Gerês National Park, also known simply as Gerês, is the only park with official national park status in Portugal and is located in the district of Viana do Castelo and Braga. Although Montesinho isn’t a national park, you’ll find lots of flora and fauna that flourish in the valleys formed by schist and granite mountains. There are villages inside this park – and the most curious is Rio de Onor or Rihonor de Castilla as it is called on the Spanish side. We can arrange a guided hike of these parks or a guide & bag delivery service to take you along the Camino in style – if you want to experience the Portuguese Way without all your earthly belonging on your back! We can also arrange catering whether that’s a handsome sandwich to pack or a four-star picnic to be dropped off at a pre-arranged location. We’ll do everything we can you to help you get the most out of this charming region! Posted in Camino de Santiago, National Parks, Popular Posts, Portugal, Wineries and tagged beaches, Braga, Cockburn, Croft, Douro Wine region, Foz, Francesinha, Gaia, Guimaraes, Porto, Ribeira, River Douro, Rui Paula, Sandeman, shopping, Taylor, Vinho Verde, Vitor Matos, Yeatman.